Many centuries ago, when black men lived in harmony with the wild beasts and subtle cattle in the jungles of Africa, before the great war in the animal kingdom and the invasion by the white cavemen, before man lost the trust and love of beasts – the Leopard was the king of the Animal kingdom. He was loved by all, both humans and animals alike. He was blessed with wisdom, beauty and strength. He was the envy of the entire animal realm. The Leopard King was of a royal blood line, as the animal kingdom practised a true and absolute monarchy. His closest allies were the Tiger (Agu) and the Lion (Odum), who were chiefs and members of a noble lineage of cats. Although Chief Odum was not particularly on the kings good books – he was tolerated, as his great grand father had played a great role in the last war with the first wave of the white cavemen who crossed into their land. Deep in the Igbo hinterlands, on the dawn of the Afor market, the Leopard King, Agu-Okpo, was just returning from an early morning hunt with his royal escorts, the best of his generals. The hair on their jaws bore a beautiful mosaic of blood mixed with the mirror looking drops of the morning dew. 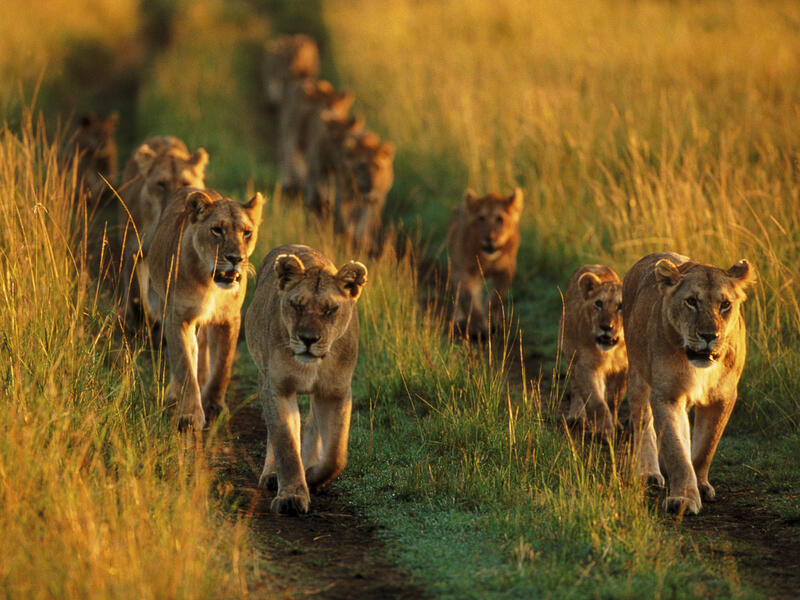 Riding directly behind them was a small contingency of younger Leopards carrying the mornings proceeds of anu nchi. They all matched into Agu-Okpo’s palace with grace, as the kings wives and children ran out to welcome him. The clouds were gathering in the sky and it seemed like it was going to be a dark and rainy day, as the jungle was thick with giant trees which often were seen reaching out to touch the skies. Igwe Agu-Okpo moved his subjects into safety from the coming rain and storm. He was about to retire to get a little rest when the ever busy Fox, who was the royal messenger, ran into the royal quarters with his breath pacing and his tail bitten off and bleeding. He had just started telling the king of the scene of a gathering of Lions and wolves, plotting to overthrow him which he saw, and of how they attacked him. He had not finished when Ugo (the Eagle), who was the leader of the kingdoms air force, landed with great anger and glory. He landed with over 400 of his best men, as they mounted defences round the kings domain. Ugo went into the kings chamber and confirm the Fox’s report. He was already mapping out battle strategies when the wise and strong leopard king busted out into a loud laughter to the surprise of the Eagle and the Fox. He told them of how the Lions and Wolves have been trying to overthrow his family lineage for centuries. He told them not to worry that he had a large infantry to defend himself and the kingdom. Ugo reassured the king of his loyalty – although he was not satisfied with their numbers – for the army of Lions and wolves he saw from the sky was something he had never seen in his 80 years of guarding the integrity of the realm. On the plane valley of the ‘ugwu ocha‘ mountain – Odum had summoned an army of over four thousand Lions, the finest his clan could boast of. The wolf his ally came with almost the same number of fierce looking and battle ready warriors. They had been planning this overthrow for years. The collusion of their roars and barks echoed round the kingdom as the thunder in the sky bellowed in preparation for a downpour. Back at the Leopard kings palace and domain – there was huge preparations. Word had been sent out to all the leaders of the clans to assemble their armies. Defences were reinforced and new barricades built. The army was assembling the biggest force ever in the history of the realm – not for a war against man but against it’s own. Agu-Okpo summoned one of his oldest and most trusted allies – Agu the Tiger, who had a legion of three thousand two hundred strong women archers and infantry men. The women of his clan were known for their gallantry in battle. The Rhinoceros came with 500 of his 2 horned warriors and the gorilla had assembled 1000 of his biggest and fiercest tribes men. Agu-iyi (the crocodile) who was the leader of the kingdoms navy readied his clan as they lined the banks of the lakes and ponds and laid in wait for any enemy who would dare cross into the lands from the sea. The Leopard King had 5000 iron claw warriors from his clan – they were the last defence of the realm. The kingdom had a land, air and water force of over 15 thousand beasts, birds, and reptiles. The Leopard King gave the signal for the battle drums and trumpets to be sounded. And so 15 thousand strong male and female of the kings Army matched out unto the valley of Ugwu Ocha to meet Odum the lion and his allies in battle. The Rhinoceros and his tribes men, together with the Gorilla’s formed the front line of attack – as they charged, the earth beneath them trembled. The Eagle (Ugo) was already in the sky, getting ready to descend on the enemies with Iron claws when he saw a large contingent of white cavemen advancing from the bushes behind the enemy. They carried all sorts of weapons as they wore lion skins. The Eagle was shocked at the sight – so he sent his first son who was a captain in the air force to make haste and inform the king of the humans fighting on the enemies side. The Leopard king on getting the news was paranoid – he never expected the Lion to be that desperate as to bring Men into their war. He paced around the battle ground for a while. And after a few hard thoughts, he dispatched four of his fastest warriors to the domain of men. The Black King of Ala Igbo, had always been a good friend of the Leopard king – and so when the four warriors arrived to tell him of the invading white cavemen, and that Agu-Okpo needed his help – the Black king immediately summoned a fighting force of 1000 men to accompany the Leopards to the battle grounds, while he took the rest of the day to assemble his entire army. The battle at Ugwu Ocha had started off like every other battle in the realm. There were huge casualties on both sides as the white cavemen had hauled arrows and stones on the Leopard kings Army. The heavens had just started pouring down rain and the battle ground was a mash of mud and blood. The storms got heavy and every side had to withdraw to their camps in preparation for the next days battle. The rains had suddenly come to a halt towards the evening – when the four warriors returned with an angry army of 1000 men. Throughout the night the generals on the Leopard kings Army and black kings army laid out their plans of attack and battle. It was a beautiful sight to behold – an alliance of men and beasts – all in a room – in deep discussions as to how to save Africa from the woe which the Lions and wolves greed had brought upon them. They all had a quick meal and went to sleep, so as to gain their strengths before the dawn of the next day. At dawn every section of the army was awake and started marching out in formation. From the right flank of the camp matched in the Black King with an extra 2000 infantry men. At the sight of this the entire army raised their voices in cheers as the king pointed his staff towards the battle field. Their spirits were lifted as every beast and man alike rode out to meet the enemy on the battle ground. The Lions and wolves were about to get into formation when they saw the Black King riding beside the Leopard King and his friend the Tiger. At the sight of the mighty army before it – their men started to tremble. For the Black king had never lost any battle – and was renowned for coming to battle with the powers of his god, Amadioha. It was not long before the white cavemen engaged the black men of Africa in close combat. The white cavemen were outnumbered four to one and so before noon they had been subdued. The Lion leader Odum, had also sustained a head injury and it was clear that the his side was loosing the war. Before evening on that day, the battle field was filled with dead Lions and wolves. And so Odum having weighed his chances – signalled his son to sound the drum for retreat and surrender. The drums were sounded as he and his allies started retreating into the mountains. There was heavy jubilation in the camp of the Leopard King and the Black Human King. Some of the war hungry beasts chased the Lions and wolves into the mountains as they hacked them down and killed them. Soon news reached the villages and hamlets in the kingdom of the victory and there was great jubilation. The battle for the throne was over. 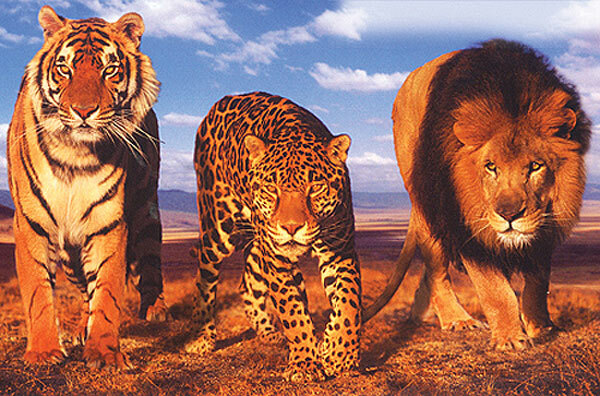 Later the following day the Leopard, the Tiger and his human allies had a meeting to discuss the future of the realm. They all agreed that the clans of Lion and wolves who took part in the uprising should be banished from the Kingdom. And so the white cavemen took Odum and his kins men back to their land beyond the seas, with false tales of how they had won the war – and how the Lion wanted to expand his kingdom to the forests of the white man. They cooked up stories to make the Lion look supreme and so began the Legend of the LION KING. But in Africa the Leopard was still King and reigned supreme. 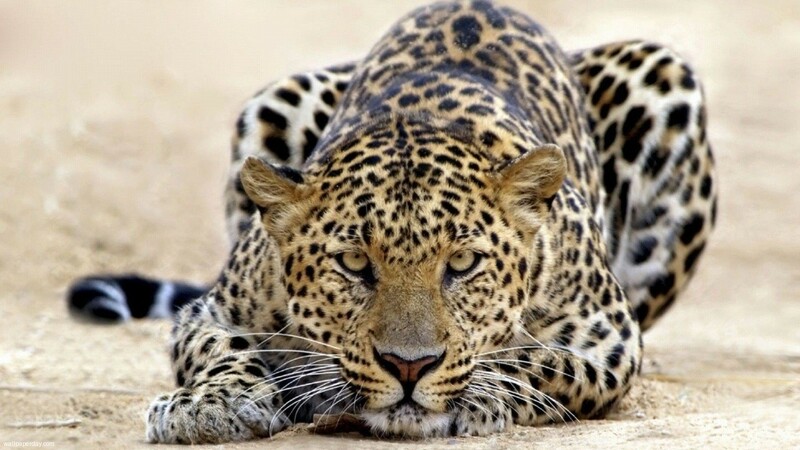 The Leopard was given the title “Agu na eche mba” and from then till date the Igbo of the hinterlands have used the Leopard as the symbol of strength and military might.